product or business. So you provide stellar customer service and offer top-of-the-line products. But how about adding some new tactics to your marketing arsenal and going after your customer’s five senses? Although this may seem like a new strategy, years ago the makers of PLAY-DOH and Crayola Crayons gave their products distinct smells. As adults we still probably recognize both scents, and each evokes childhood feel-good memories. According to an article published by brand-consultancy company Lippincott 95 percent of human communication is unconscious, and 80 percent is non-verbal. That’s why the senses can illicit such strong emotions. In fact there are some universal truths behind some of the strategies companies use. The color white is typically considered pure; blue is the most common favorite color. Muzak and other instrumental music typically are associated with happiness, activity and surprise. Women typically say premium fabrics are fine and light (silk); men, on the other hand, agree premium fabrics are fine and heavy (wool). One of Lippincott’s key customers, Citizens Bank, worked to create a heightened experience for its customers. The bank redesigned its lobby to feel friendlier, more casual and more approachable by using particular colors, shapes and textures for its décor and furniture. In addition, they piped in music that was specifically orchestrated to ensure “cross-generational” appeal. The six-hour playlist is fed into ATM vestibules at higher levels to ensure customers are greeted when they enter. Other companies rely on touch and smells that encourage relaxation and comfort. The Westin Hotel plush white linens and bed comforters have led to the chain’s identification with “luxe” accommodations The chain also infused the hotel’s public spaces with the scent of white tea, and the hotel’s signature scent has garnered compliments from guests and inspired a successful line of bath and body products. Incorporating the senses into everyday business isn’t difficult. 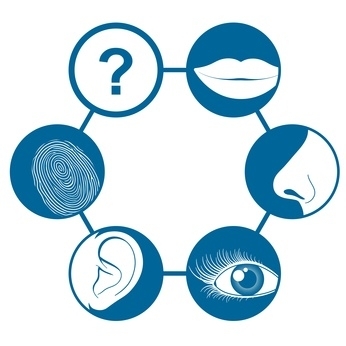 Scads of research can help you understand the psychological responses regarding sight, smell, touch and taste. But the steps you take don’t always have to be scientific. Perhaps you come across a picture that makes a smile. Chances are, your clients will smile too. If you feel glowing candles refresh your space, your customers will probably agree. Find music that engages your patrons appropriately. Whether you own bike gallery or a bakery, let those who come in to shop try out your products. Encourage them feel the textures of the siding or paneling they are about to install, or silkiness of the Egyptian cotton sheets.Most decisions are based upon emotions. If you can reach a customer on that level, your chance at success is much higher. When you stimulate the emotional centers in the brain, you’ve mined gold.